As summertime approaches we all see those “summer body” images flooding our times lines. It’s all good and I am so here for the “summer body” but the goal should be all year long. Don’t get it twisted I am not professing to be one who hits the gym and has a 365 mindset to “stay fit.” What I do have is an active lifestyle that aids in me staying healthy and in shape all year long. The weekends were meant for fun! 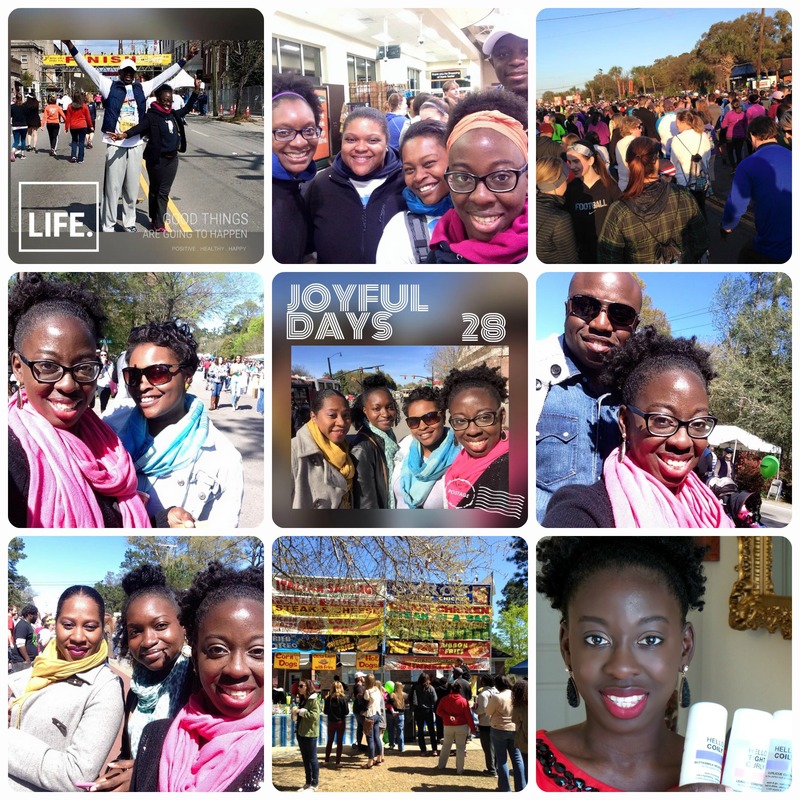 Fun is exactly what I had this weekend at the James Island County Park Outdoor Festival. This Festival was geared towards outdoor activities. I had a wonderful weekend spent outdoors walking, laughing, eating, and enjoying time well spent with friends. For the second year in a row I was able to participate in the much anticipated Charleston “Cooper River Bridge 10K Run”. This is a very huge event here in the lowcountry where thousands of people fly in from all over the world to take part in this race. It was a pleasure and such a joy to see many people from various walks of life gather together and walk or run in this race. My school takes a group of our staff members out there each year to join in on the fun. I was able to include my close friends and husband along with us this year. We had a grand ol time. After the race King street was filled with people enjoying the beautiful Charleston weather. This weekend also brought people near and far to enjoy food and fun at the “Flowertown Festival” this takes place every year as well, in the heart of downtown Summerville. Another chance to enjoy the great weather, food, and hand crafted items from lowcountry vendors. I even grab myself a bowl of Shrimp n Grits the Low Countries favorite dish! Of course i couldn’t resist fried oreos. I truly had a fun filled weekend.